Ford and Mecum Auctions have finally reached a settlement over the legal battle surrounding the new-generation Ford GT’s controversial auction in 2018. Back in May 2018, a 2017 Ford GT crossed the auction block at Mecum Auctions with a winning bid of $1.8 million. This was in violation of the agreement that Ford had in place with the original customer which states that the car shouldn’t be resold for a period of two years from the date of initial delivery. However, Ford couldn’t stop the auction regardless of filing a legal injunction as this particular Ford GT was placed for auction by a dealership which had purchased it from the original owner. An 8-month-long legal battle followed, at the end of which the manufacturer and the auction house reached a settlement. According to a press release from Ford, the carmaker won on the following points. Mecum will not cosign any Ford GTs owned by the original purchaser of the vehicle that are still involved in the legally-binding, two-year moratorium. Mecum will not cosign any Ford GTs not owned by the original purchaser of the vehicle if it is still within the moratorium period. Additionally, it will work directly with Ford to disclose that a sale occurred to a downstream purchaser. An undisclosed settlement amount will be donated to the Ford Motor Company Fund. Ironically, Ford recently sold a 2019 Ford GT Heritage Edition for $2.5 million at the Barrett-Jackson, Scottsdale event. Cough! This means that not only will Ford GT flippers be denied of the chance to sell their supercar through Mecum Auctions, but also that they may see themselves in Ford’s crosshairs. Either way, Ford is making it crystal clear that the customers whom the carmaker chose as brand ambassadors show the same amount of respect and consideration to the agreement signed. After all, not everyone with $500,000 was given the keys to the Ford GT as the manufacturer carefully selected its customer pool. 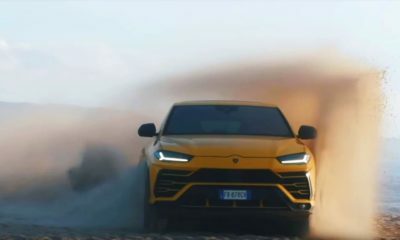 Despite all the efforts to keep the supercar’s exclusivity on par with some of the Italian supercars, customers like John Cena chose not to stick to the two-year sales ban clause. In fact, the WWE star’s GT got flipped multiple times. Ford didn’t spare the celebrity and Cena had to cough up an undisclosed sum to settle the lawsuit.